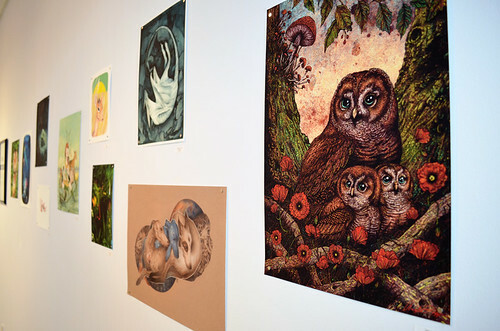 This past Friday was our opening reception for the Macro + Micro Exhibition: A Celebration of the Natural World. 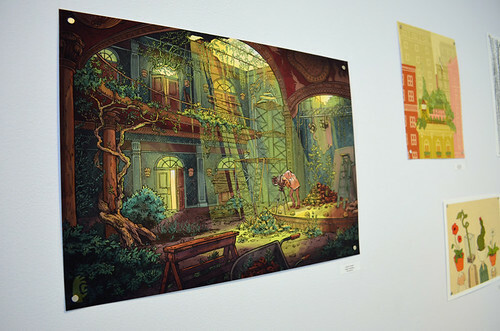 There was over 90 artists who had prints on display, and the entire gallery was packed with beautiful, strange, and interesting specimens and work! It was an incredible collection and a really fun opening. Thank you everyone who was able to make it to the show! The space was divided into the four categories: Mineral, Vegetable, Animal, and Everything Else. Artists chose their own natural subjects, which ranged from tigers in the jungle, to rocks on the moon, to underwater plants and unidentified growths. In the main gallery, Mary Jo Hoffman displayed a small portion of her photographs (out of her 500+ images) and fabric works along the back wall. 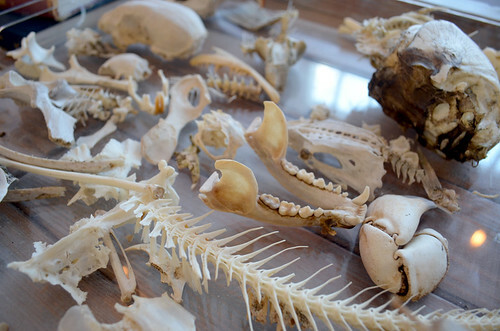 She also generously displayed specimens, bones, and plants from her personal nature collection. You can see her entire Still Blog project and images here. Thanks Mary Jo for sharing all your work! 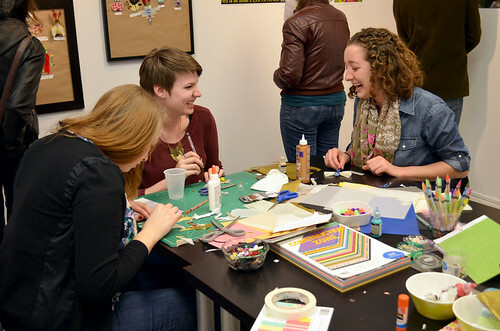 We also had our very own Light Grey Entomology wall, where everyone was invited to make their own bug creatures out of cut paper, sequins, string, and glitter. It was really great to see the hilarious creations and great scientific names. 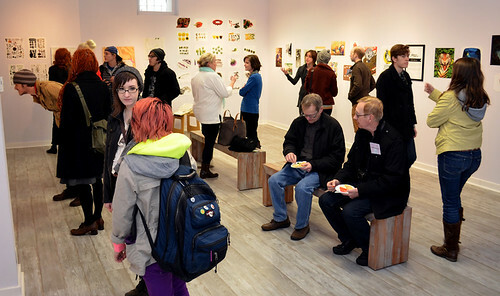 On top of all the artwork, prints, bugs, and displays, Whole Foods generously donated all the fruits, vegetables, and flowers for the opening- thanks for the treats! You can see all of the images from the exhibition on the Macro + Micro online gallery and purchase any prints from the Light Grey online shop. You can also see more images of the Macro + Micro opening on the Light Grey Flickr set here.